The DEMOLISHER is a fearsome creature driven only by the desire to fight and destroy. If there’s no one to fight for pay, then he’ll fight for pleasure. His victories are witnessed, and opponents drummed up by his sidekick, the DIRGE. The DEMOLISHER lands on Third Earth to challenge MUMM-RA, not knowing that such a challenge is made futile by MUMM-RA’s immortality. When he has defeated MUMM-RA and is about to destroy him forever, MUMM-RA flees into the Pyramid, summoning the DEMOLISHER after him. There, he indicates LION-O’s image in the Cauldron, taunting the DEMOLISHER and inciting him to challenge the THUNDERCAT. 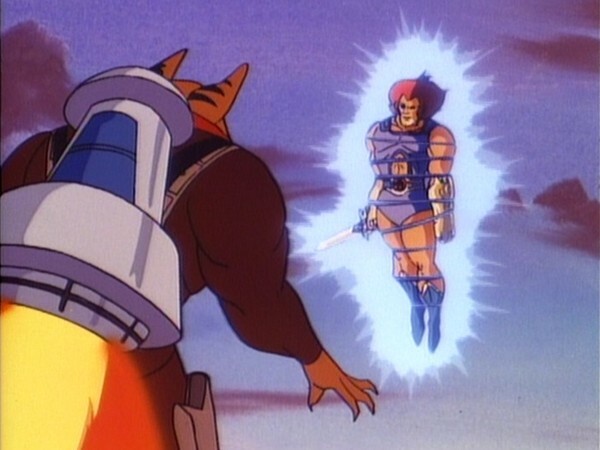 LION-O’s initial reaction to the DEMOLISHER’s challenge is to avoid a fight, but he is eventually forced to defend himself. 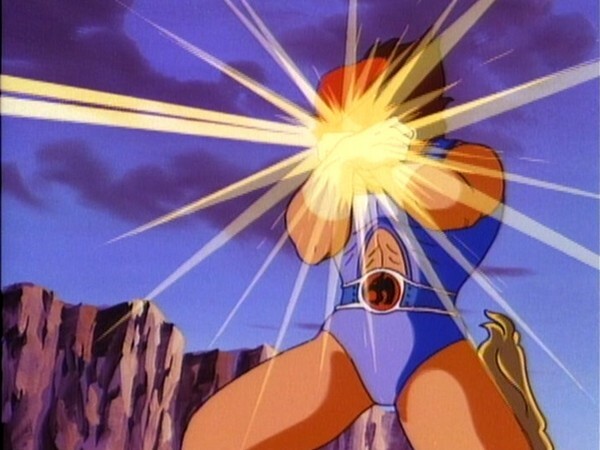 The fight reaches a stalemate, which LION-0 breaks by summoning the other THUNDERCATS, not to destroy the DEMOLISHER, but to prevent him from fighting until he effectively destroys himself. Respecting the DEMOLISHER’s prowess and courage, he tries to persuade him to fight for the Code of ThunDERa, but the DEMOLISHER is driven only by violence and he teleports himself and the DIRGE back to his spacecraft, leaving Third Earth forever. The Demolisher is a mercenary, who seeks violence for violence’s sake, and fights without regard for any principles. He has no beliefs and fights not for a cause, but merely as an exercise in strength. As a result, he appears out of control and is a victim of his own disorder and confusion. Whenever we allow our own physical impulses to be expressed without moderation and without regard for purpose, we too are subject to disorder and confusion. Any expression of force must be linked with a rational purpose and must be appropriate to an end. Behavior must always be consonant with moral standards. 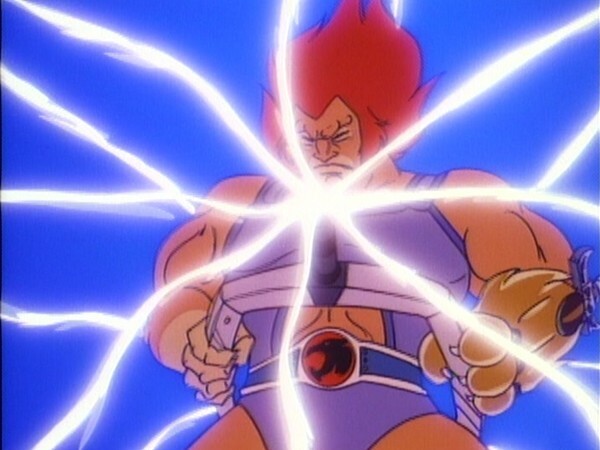 As the ThunderCats series wore on it’s perhaps not surprising that certain themes and concepts found themselves being reinvented and represented – when the series ended there were a total of 130 episodes, and one could argue that it is difficult to sustain that many episodes without certain elements being revisited. 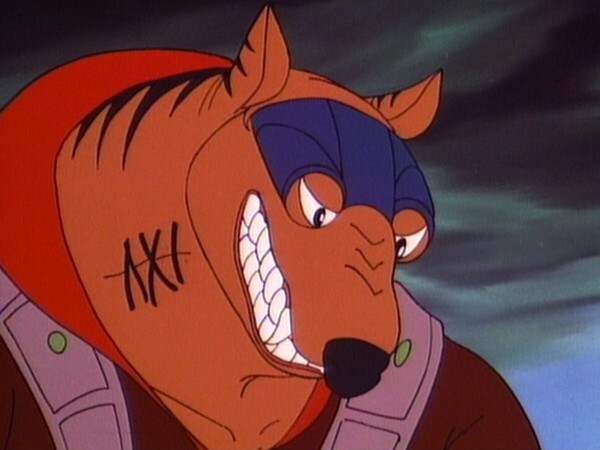 With that being said, it is perhaps unsurprising that this episode bears a lot of subtle similarities to the earlier episode “Safari Joe” – however, whilst that episode was a highly entertaining tale with many exciting and original concepts, “The Demolisher” is basically a sequence of ongoing action sequences strung together around the character that is this episode’s guest villain. Whilst for a high-octane adventure show like ThunderCats this does not necessarily have to be a bad thing (especially given that action sequences were one of this series’ great fortes), in the case of this episode the result is, at times, surprisingly bland and uninteresting. Part of what makes this episode suffer is the fact that the character after which it is named is quite a one-dimensional one. One of the few weaknesses of the ThunderCats series (and, indeed, that of many animated series in the 1980s) is that the villains are rarely given any substantial character development or motivation for their actions – boiled down to their base components in order to make them instantly accessible to their young audience, they are, simply, “evil”. In real life, of course, there are many evil people but very few of them actually think of themselves as “evil” – many, perhaps even most, of them, however deluded this may appear to the outside world, think that they are doing good. 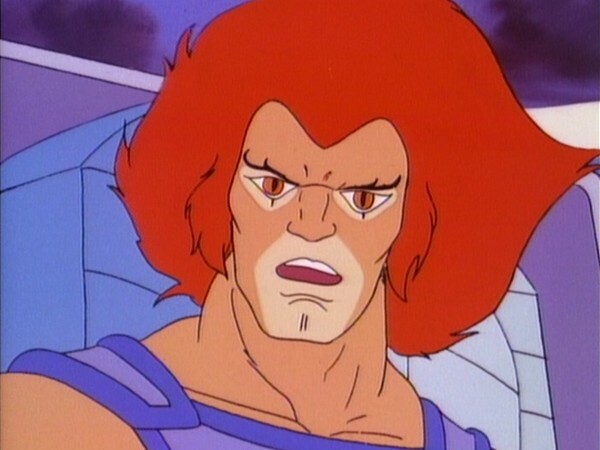 In a show like ThunderCats, the evil characters lack this level of complexity and often are portrayed as delighting in their own evilness in a way that almost caricatures the “villains” of real life. Although watching the series from an older perspective it means that this requires an element of suspension of disbelief, nonetheless for myself personally and, I’m sure, for many other fans of this type of storytelling, this is rarely a problem. 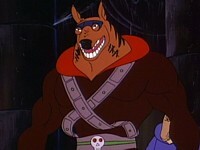 However, in the case of the Demolisher, it feels as though this lack of character development is extended to the point of complete lack of motivation, a character who just looks evil and fights for the sake of fighting, with no background or origin – in short, a character who is inserted into proceedings just as a “villain of the week” rather than because he has any real story to tell or further by being there. 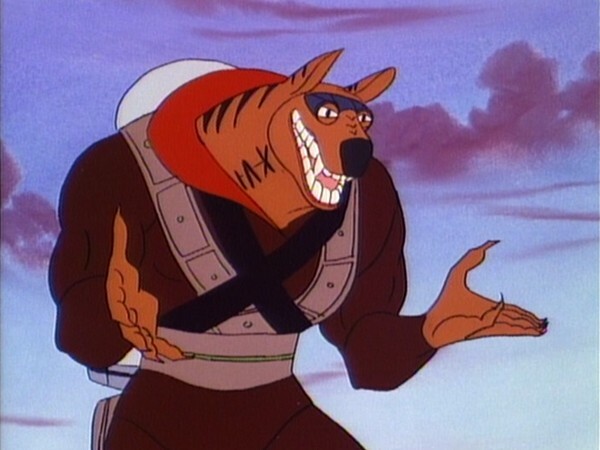 I mentioned earlier that “The Demolisher” bears some minor similarities to another episode named after its primary guest character, “Safari Joe”, and in fact there is a very similar formula at work in this episode – an adversary packing a versatile arsenal of weaponry attacks the ThunderCats (or, in the case of this episode, just Lion-O) for no apparent reason other than satiation of their ego, complete with non-combatant sidekick character and snappy dialogue. 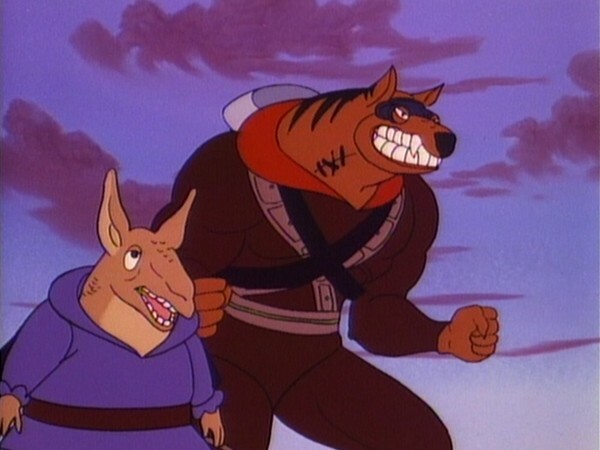 However, whilst the character of Safari Joe was a brilliant and highly appropriate enemy for a cast of humanoid cat characters, whose own cowardice and bullying nature marked him out as a really interesting character, the Demolisher is basically just a savage warrior, existing for no reason other than to fight. Whilst in this episode it does touch briefly on his motivations for doing so (which again, as with Safari Joe, would appear to be largely ego- or superiority-driven), somehow the way this is tackled and presented is less interesting and engaging than with “Safari Joe”. Couple this comparative blandness with an irritating and somewhat pointless cheerleader sidekick in Dirge, the Demolisher’s companion (who pales in comparison to Safari Joe’s sidekick, Mule, who, as a fountain of knowledge, seemed to serve a necessary and believable function), and you have the wrong characters to base an entire episode around. The sad thing about this episode is that it could have been excellent – not just because it originates from the combined talents of Peter Lawrence and Bob Haney, two of season 1’s strongest writers, but also because the character of the Demolisher, as a type of mindless soldier, could have served as a fantastic character around which to build a tale about the futility of conflict, and how wars and conflicts can escalate to the point of mindless violence where neither side can truly remember the reason it started. By making the Demolisher a fighter in a long-forgotten cause, or a soldier from another time, or any such plot device, this episode could have been lifted from mediocrity to one of the great ThunderCats stories. 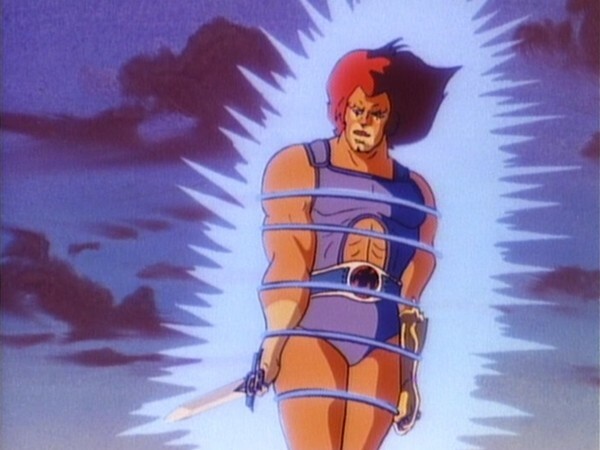 As it is, the episode is memorable almost solely for its action sequences – whilst this might sound harsh, in actual fact action sequences are almost all this episode comprises of, with two large one-on-one battles between the Demolisher and Mumm-Ra and then the Demolisher and Lion-O forming the central columns on which the remaining minor framework of this episode is built. The action sequences themselves are entertaining if somewhat unspectacular – the Demolisher’s arsenal of weaponry is perhaps the most memorable thing about the character, giving him a formidable edge that matches his cruel and remorseless personality, and his snarling voice. 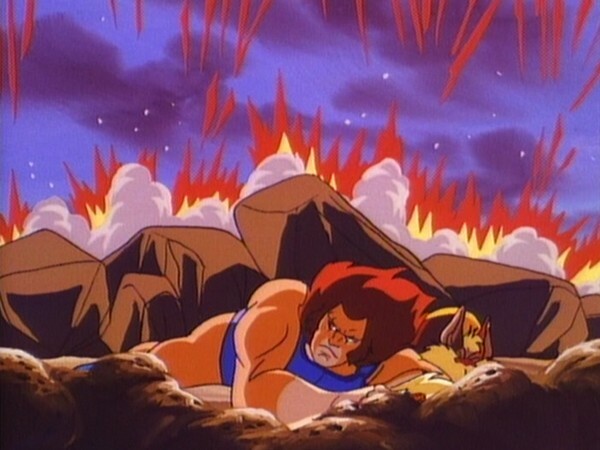 Although at no point does the audience feel that Lion-O is in legitimate danger, nonetheless it is entertaining to watch the Lord of the ThunderCats give such a comprehensive display of his combat abilities, and in fact the scene when Lion-O displays awesome (perhaps even slightly overplayed) strength, firstly in breaking free of the Demolisher’s forcefield and then by dragging his ship down to earth, is the undeniable highlight of this episode. In short, although this is an episode that somehow manages to stand out in the memory by virtue of its guest character, in reality it is an episode brimming with wasted potential and one that, when analysed, becomes rather more forgettable than might first be thought. 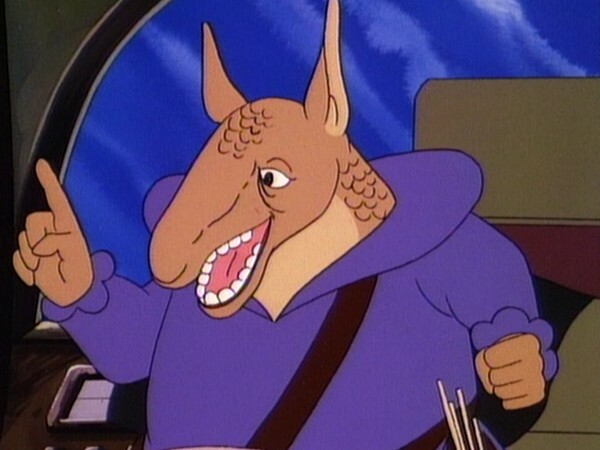 This episode was written by Bob Haney and Peter Lawrence, the only time in the series that both took writing credit for the same script. 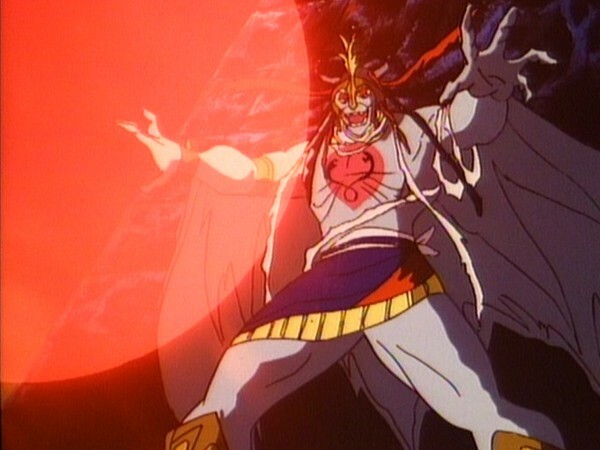 One of the most visually unique things about this episode takes place during Mumm-Ra’s battle with the Demolisher – during that battle, Mumm-Ra calls on his power to magic up armour that is vaguely evocative of the style worn in feudal Japan! The ball of light used by Mumm-Ra to guide the Mutants to his tomb chamber in “The Unholy Alliance” makes its second appearance in this episode. 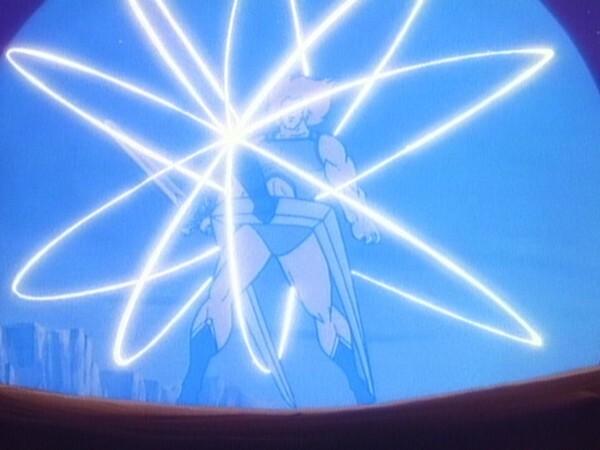 When Mumm-Ra shows the Demolisher scenes of Lion-O in action, the two scenes come from “Return to Thundera” and “The Rock Giant”. The Demolisher’s sidekick Dirge would appear to carry around with him a spare supply of drumsticks – although Snarf snaps Dirge’s drumsticks in half early on in the Demolisher’s battle with Lion-O, only a few minutes later Dirge is seen sporting an unbroken set!